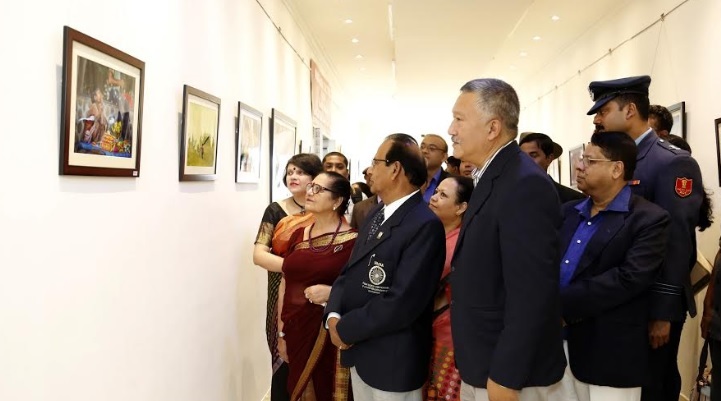 Assam governor Prof Jagdish Mukhi on Sunday visited ‘Life’, a photography exhibition being held at Srimanta Sankardeva Kalakshetra in Guwahati. 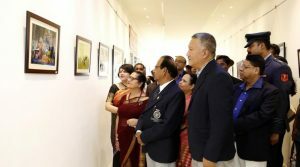 The month long exhibition showcases the photography of veteran photographer Sanjib Kumar Gohain Boruah who is also a bureaucrat. The exhibition displays Sanjib Gohain Baruah’s lens work which ranges photography of different objects based on the nature and human existence. The Governor who was accompanied by his wife, the first lady Prem Mukhi lauded the creative works of Gohain Baruah. He also asked him to continue his good work and present the life of this land on broader canvas that is taking Assam at the national level through his camera. The one-month long exhibition will end on January 31. 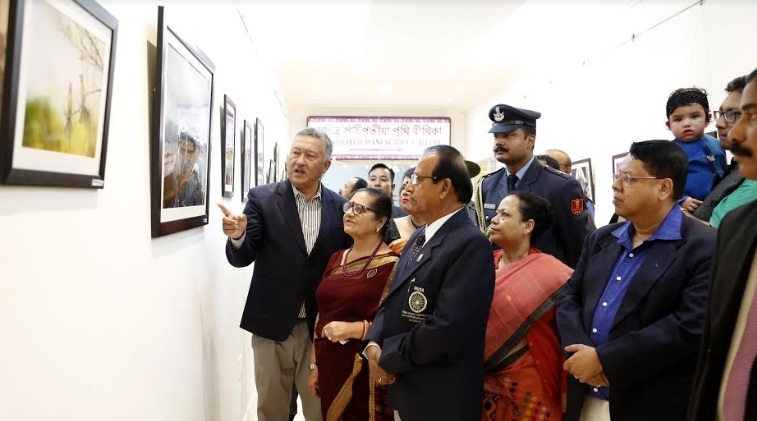 The Governor said that photography is an art which can reveal limitless emotion though a single click and Sanjib Kumar Gohain Baruah’s exhibition is a testimony to that. He also asked him to carry on his good work to promote the art of photography. Earlier, Prof Mukhi paid a visit to Dr Bhupen Hazarika Museum which showcases the various objects associated with the life and works of the legendary music icon Dr Bhupen Hazarika. The Governor also enjoyed a documentary film on the Bard of the Brahmaputra at the museum. Seeing the documentary the Governor was visibly elated by the multi-faced genius. On being reached Srimanta Sankardeva Kalakshetra, the Governor was received by the secretary, Cultural Affairs Madhurima Baruah Sen and the vice chairman of Srimanta Sankardeva Kalakshetra Society, Surjya Hazarika.